How does a solar eclipse work? A solar eclipse happens when the moon moves between Earth and the Sun. The experts at NASA do a great job of explaining how a solar eclipse works and the different types that can occur. They also discuss the history of eclipses, reporting that the earliest writings we have showing that people paid attention to eclipses are around 5,000 years old. Is the weather going to cooperate? We sure hope so! Be sure to check the weather in your area and be prepared to be flexible and mobile. The last thing you would want is for your view to be blocked by a cloud during the very short time you have to view it. What is the path of the eclipse and what time will I see it? What do I need to do to protect myself and my gear? You can't just go outside and look up at the eclipse. You also can't just point your camera at it and shoot. Both your eyes and your gear could face irreparable damage if you do so. Be sure to read our guide on what you need to know to safely capture a solar eclipse. What lens and camera settings should I use? Your location, the gear you have and the types of photos you're trying to capture are all going to play a part in answering this question. Luckily we gained some insight from two Sony Artisans on their plans for shooting the eclipse. Spencer Pablo shares his eclipse setup for the α7R II and α9, and Patrick Murphy-Racey gives us his long-lens, three camera approach with his α9, α7R II and α6500. When is the next time I'll be able to see a solar eclipse in the United States? We actually won't have to wait too long. The next total solar eclipse to cross the U.S. will take place in just seven years in 2024. 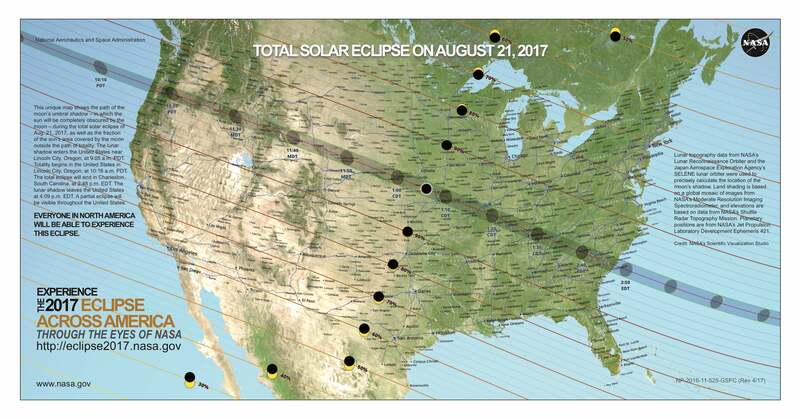 Time.com covers where you can see every total solar eclipse for the next 50 years, so be sure to bookmark this story for the future!